Teaching children the importance of taking care of our Earth, especially when young, can be and abstract and difficult task. But getting kids involved with hands-on learning activities and active in practicing green habits is and important part of learning life long skills that can aid in taking care of our Earth. 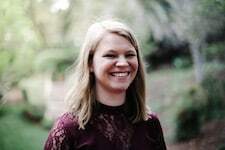 Today Anna from Kids Play Space has an awesome book review of “This is Our World” (See below for product link) and it gives information on a little bit of everything. She has some great ideas on how to implement the book into real life and how to truly practice green habits with your kids! This post contains and affiliate link. Thank you for choosing to support Kids Play Space and ALLterNATIVElearning by purchasing through the link. 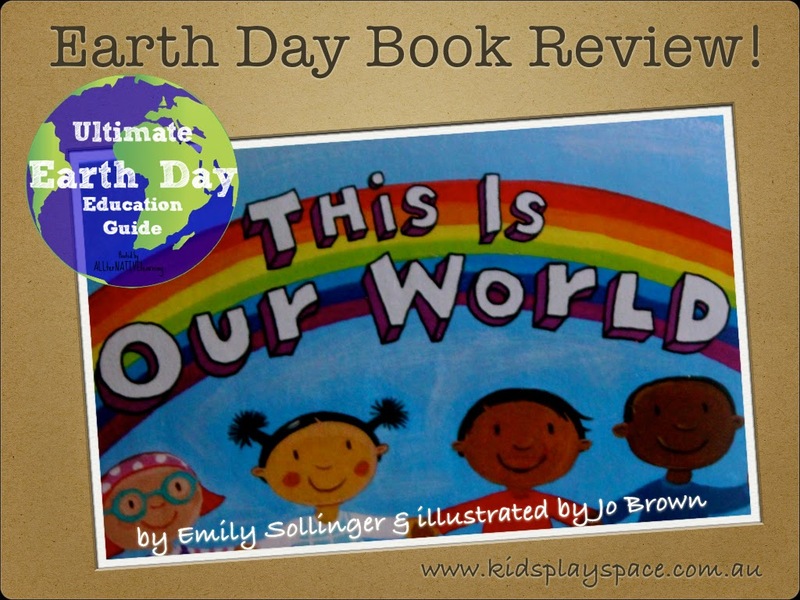 Hi, I’m Anna from Kids Play Space, and I am so excited to be visiting the wonderful ALLterNATIVE Learning to be bring you this book review as a part of the Ultimate Earth Day Education Guide! “This Is Our World “, by Emily Sollinger and illustrated by Jo Brown is such a winner for little ones to learn about and appreciate the Earth! I love this book so much, and knew our 3 year old would really enjoy it – that we even made it part of his birthday present! 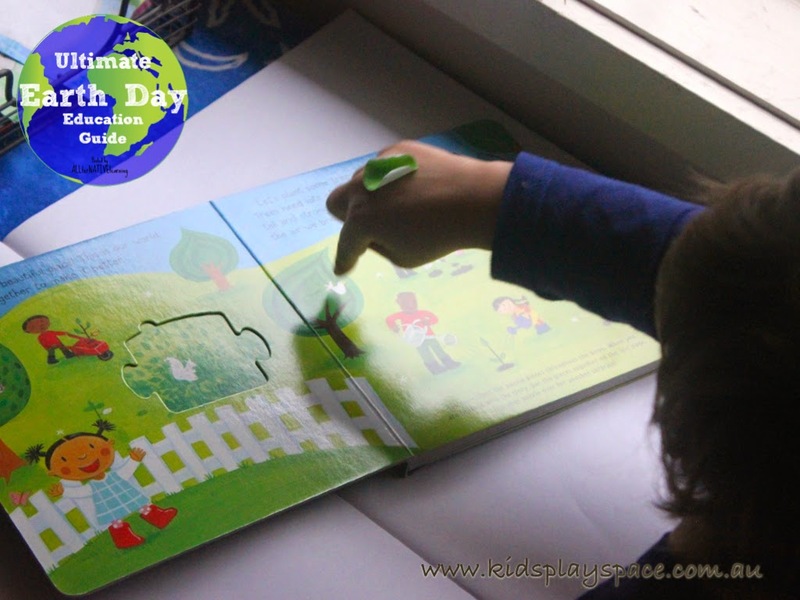 The pages are bright, colourful and full of helpful, Earth loving activities for kids to identify and chat about. Readers are taken from green pastures, to the beach, the school classroom, and the back garden; learning lots of fantastic, green habits along the way. It’s an engaging book, with lots of activity possibilities, making it difficult to put an exact age recommendation on it. Possibly: 1-6? I also like that it is a sturdy hard back book, made from 70% recycled material. 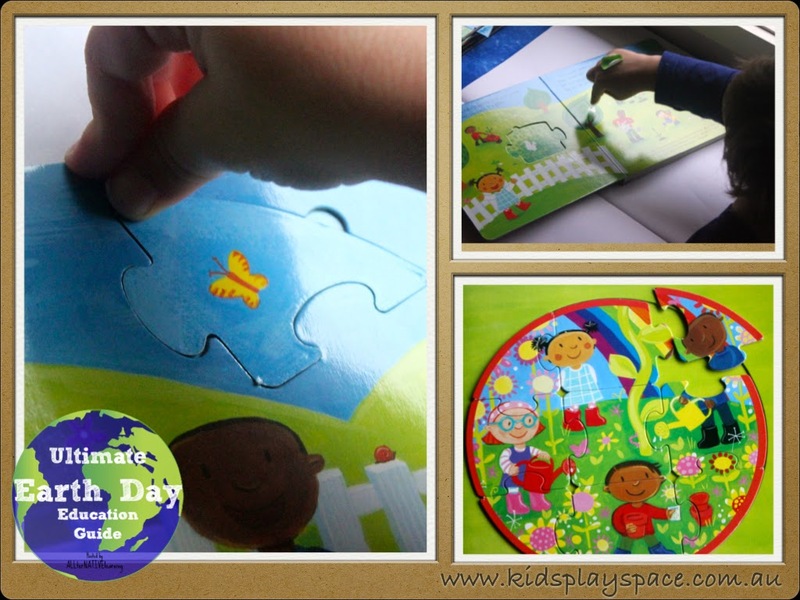 The story is simple and relate-able for kids, and as an added incentive, each page has a camouflaged puzzle piece to collect along the way and put together at the end. Then the pieces can be flipped over for a 2nd puzzle picture! What a great bonus – visual perception skills, visual motor integration, problem solving, colour identification practise, …and a green theme! But wait, there’s more! There are a bunch of other wonderful Little Green Books to get stuck into too! Do you enjoy reading with your kids? 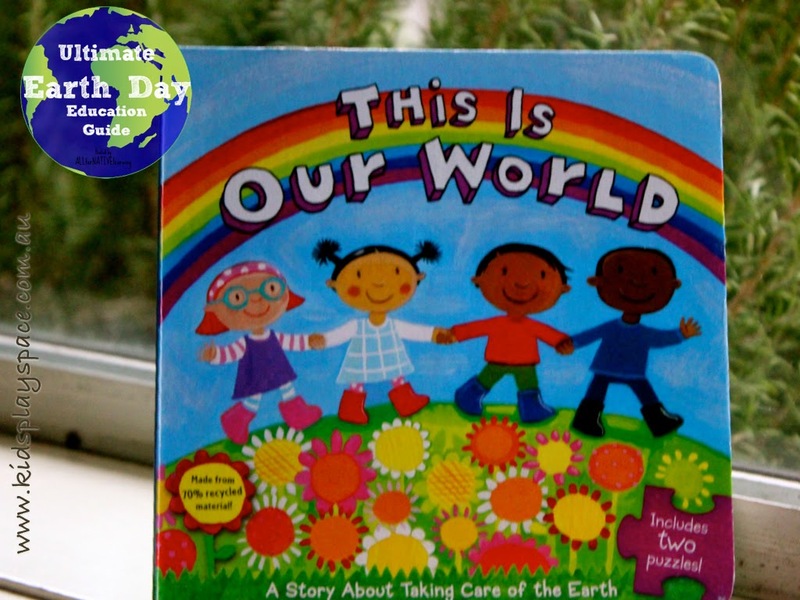 There are so many wonderful green books to get into the Earth Day spirit, and more importantly, nurture life long habits to care for our world. I’d love to hear about your favourites! – The Value of Water Play – for an exploration of why water play is so important for children, including its part in water conservation education. What do you think – what other activities and habits model taking care of our Earth? Don’t forget to check out other ways to teach and learn with kids about the Earth and the importance to take care of it. Visit the main page for the Ultimate Earth Day Guide and explore the variety of activities and resources that all focus on taking care of our Earth! This looks like a really wonderful book! Looks like a very interesting book! I’ll have to look for it!